After stepping out of a hot shower on a chilly morning, there is little better than being welcomed by a soft, warm towel wrapped snugly around you. Hang up your damp towel and it dries again in no time, leaving it not just warm and dry but fresh smelling too. The Warmup Electric Towel Warmer for bathrooms range offers exquisite function combined with sleek design; an attractive feature in any modern or classic bathroom. A simple concept, for a simple joy – every day. Each towel warmer comes with a full installation kit with all fixing accessories, including a diamond drill bit (for use on tiles), for installation convenience. They are crafted to a very high-quality level and feature a durable stainless steel construction that is mirror polished and hand-buffed for an exceptional finish. 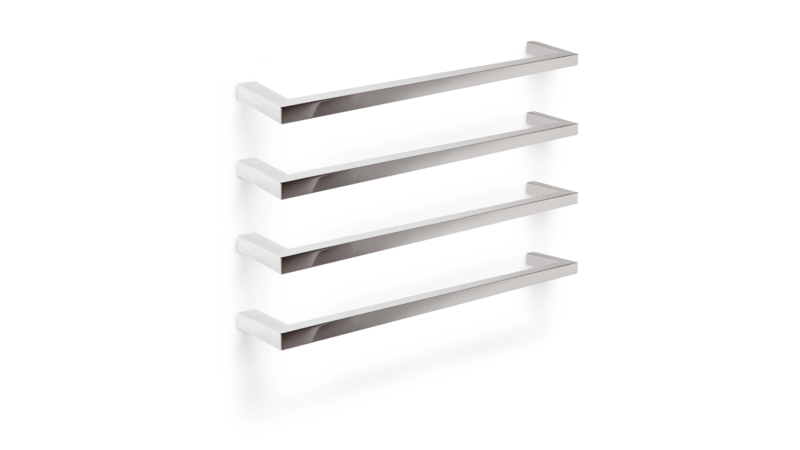 Warmup towel warmers will keep their good looks for many years to come…. Contact us to learn more about Warmup towel warmers, an affordable necessity.